June 2012 | MMA Fighting Events Videos Techniques UFC Fight Picks and News. Anderson "The Spider" Silva met Chael Sonnen in the UFC cage for the first time at UFC 117 back in August of 2010. MMA (Mixed Martial Arts) fans and experts were surprised for four and a half rounds as Sonnen dominated Silva! But then, Sonnen made a mistake, Silva quickly capitalized and submitted Sonnen with a triangle armbar submission from the guard. After two long years, Chael Sonnen finally gets his rematch and his chance at proving that the first four and a half rounds in their first match up were no fluke. Silva is tired of the trash talking and wants to shut Sonnen up for good! Lets take a closer look at these fighters. Anderson Silva has plain and simply dominated the middleweight division. He entered the UFC for the first time in April of 2006 and has rattled off 14 straight wins since! Those 14 UFC wins have been highlighted by 8 KO/TKO's and 3 submissions. If that's not impressive enough, keep in mind that those wins have come versus the top MMA fighters in the division and in the world! Chael Sonnen is 5-1 in has last six UFC fights with the only smudge in that stretch being the loss to Anderson Silva. Sonnen is coming off a solid decision win where he beat a top Middleweight contender in Michael Bisping. He's definitely earned his rematch, but can he pull off the win this time? I don't think so! Sonnen will go home with another loss. Silva is too good! Sonnen doesn't have the finishing power to knock him out or to get a TKO. Sonnen won't submit Silva. And as the first fight showed, it's a five round fight. Sure it's nice to win the first four rounds, but you have to finish! The longer you stay in a fight with a great fighter, the longer he has to figure out a way to win. Silva is a great MMA fighter and that's exactly what he did in their first fight. In this fight, at UFC 148, look for Silva to have an answer for Sonnen a lot sooner. 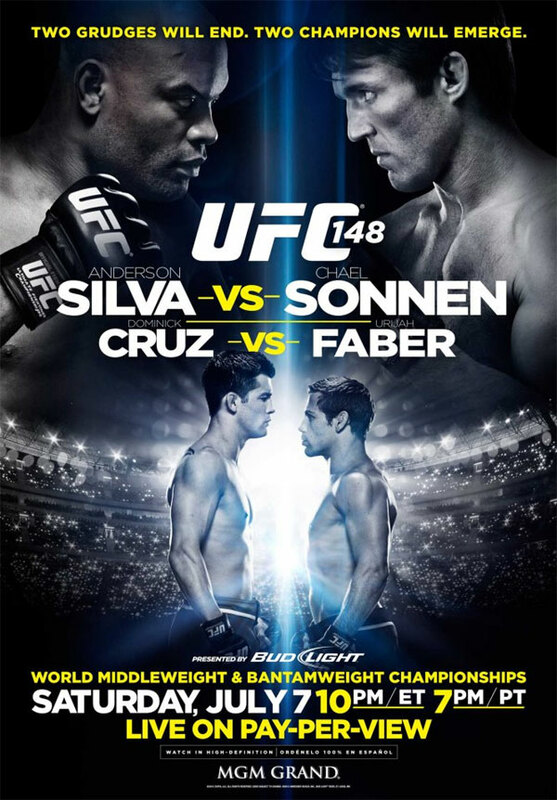 Check out a great promo video for UFC 148 Silva vs Sonnen 2 put together by Youtube user NickTheFace2. If you haven't already checked out a live MMA (Mixed Martial Arts) event, and you're in the Los Angeles area, Friday June 29 will be a great opportunity to catch some great fights. The Fight Academy in Santa Clarita will be putting on Pure MMA Beast Mode at The Odyssey Restaurant in Granada Hills. The main event at Pure MMA Beast Mode will feature one of the hardest working fighters in the Los Angeles MMA scene, Jonathan Del Rosario (Submission Factory) facing off against Saad Ul-Hasan (So Cal Fight Factory). 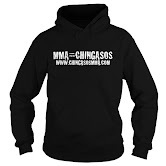 Check out out Del Rosario's MMA fight training in this video Chingasos MMA got an opportunity to shoot. Del Rosario will have his hands full as Ul-Hasan is no slouch coming in with four solid wins and only one smudge on his record. This one is going to be a cage fighting war! Also on the card is my older brother and Chingasos MMA contributor, 40 year old Ricardo Robles. Robles will be facing a tough Peter Mostowa (Sityodtong LA) who is 12 years younger. Can Robles pull one out for the 40 year old club? As is stands, the fight card is already packed with nine fights and eager fighters ready to go beast mode in the cage! The Ultimate Fighter's Jamie Yager will be the special guest host. Make sure to get your tickets ASAP, as it's a limited capacity venue and it will be sure to sell out. The Odyssey Restaurant is located at 15600 Odyssey Drive in Granada Hills, CA 91344. You can buy your tickets for Pure MMA Beast Mode at www.PureMMA.org. The UFC (Ultimate Fighting Championship) is returning to Brazil for UFC 147 on Saturday June 23, 2012. UFC 147 has been flying under the radar, but the main even should be exciting as it features two MMA legends that are fighting to stay relevant. Rich Franklin will be going into hostile territory to face off against Wanderlei Silva. UFC 147 will take place at Estadio Jornalist Felipe Drumond in Belo Horizonte, Brazil. Lets take a closer look at these fighters and then I'll make my fight pick. Wanderlei "The Axe Murderer" Silva is coming into this fight coming off an exciting TKO win over Cung Lee at UFC 139. Silva has an impressive overall MMA fight record of 34-11. Most of his wins have come in devastating knock out or TKO fashion. Twenty four of his wins have come via KO or TKO. But, he's only 3-4 since making his return to the UFC in 2007. One of those losses coming at the hands of Rich Franklin. Rich "Ace" Franklin is coming into this fight off a loss to Forrest Griffin at UFC 126. Before Anderson Silva came along, Franklin was the man in the UFC's Middleweight division and was on a fast track to the UFC hall of fame. Since being dethroned by Silva in the Middleweight division, he's had trouble racking up a solid streak of wins. He's 4-3 in his last seven fights and needs a big win bad! Rich Franklin is a smart MMA fighter. He's already beat Wanderlei Silva by using his strategic and technical fighting skills to pull out a decision. Silva has had trouble with technical fighters that refuse to engage in a brawl. I see this fight going as the first. Silva will try to engage Franklin in a brawl, but Franklin will use his strategic and technical skills to avoid that and pull out a win! Here's the UFC 147 Silva vs Franklin preview video. UFC 147 is going down in Brazil this Saturday, but if you're in the Los Angeles area and you want to catch some live MMA cage fighting action, Pasadena will be the place to be. 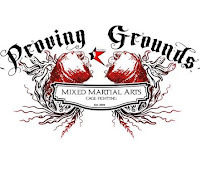 Savant Young re-ups his Proving Grounds MMA event with Proving Grounds 8. 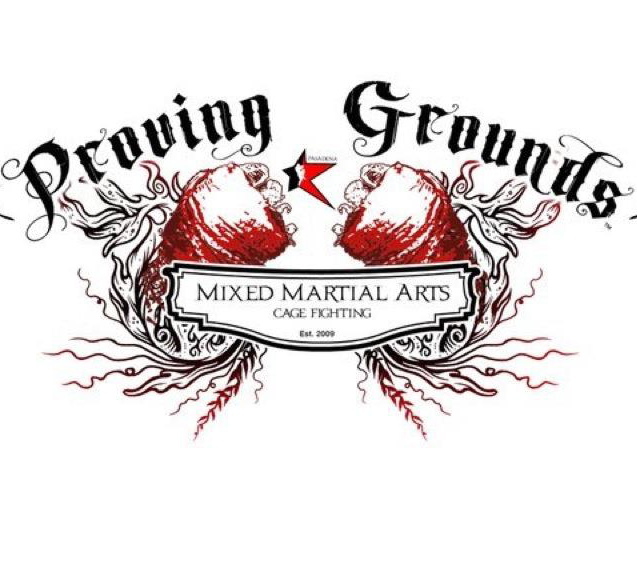 The CAMO sanctioned Proving Grounds 8 event will take place at the Fight Academy in Pasadena and has several exciting match ups in store! Proving Grounds 8 will feature two undefeated ladies locking horns! The Fight Academy's own Crystal Lizama, one of the most feared women fighters in the Los Angeles area who's been ducked, dodged and avoided, finally gets another opponent in the fearless Brianna VanBuren (Team Antdawg). If you've never seen the ladies go at it in an MMA fight, let me just say it's Jerry Springer style but with real fighting skills. They go at it hard, and a lot of times harder than the men. I've seen several women fight in MMA and rarely if ever do they disappoint. One of these ladies will go home with their first loss. Who will it be? The feared, dodged, ducked and avoided Lizama, or the fearless VanBuren? Another one of the MMA match ups to keep an eye on is James Puncel vs. Josh Mc Gavern. Josh Mc Gavern is one of the Fight Academy's young lions. Savant Young had trouble getting Mc Gavern an opponent. When the call was placed to The Vault MMA, owner Daniel Hernandez asked his fighters, "Who wants to fight at 155 at Proving Grounds 8 June 23?" Jame Puncel jumped at the opportunity and would not take no for an answer. At age 48, Puncel will try to show the world that age is just a number! Can an old, gritty, tough as nails MMA vet prevail, or will the young lion feast? If that’s not enough, the Fight Academy's undefeated Jose Pinzon, will be taking on two-time NCAA wrestling champion and also undefeated Adin Duenas (Team Antdawg). Doors will open at 5:30 p.m. and the first fight goes on at 7 p.m. There will be live music put on by The Chosen Few Children, a full bar, and food by El Chavo Tacos. Special guest Antoni Hardonk will be in attendance and you never know who else will drop by. You can purchase your tickets online at www.FightAcademyMMA.com or you can get to Proving Grounds 8 early, and take your chances at the door. Magic Raj Patel is a 24 year old California native that trains out of Team Florez in La Puente (Los Angeles County). Patel is quickly making his mark on the Muay Thai scene with a current record of 4-2-1, which includes a 38 second knockout to win the Muay Thai Incorporated Super Feather Weight Championship Title Belt. Patel's full time job is with gogreensolar.com as Product Manager. Being a part of a growing small business and fight training six days a week makes for a busy schedule, but with perseverance and hard work, Patel is finding success in both. His love for Muay Thai started with seeing the movie Kickboxer as a kid. 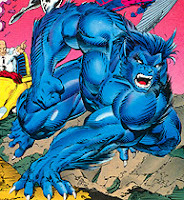 Throughout his time in college at the University of California at Riverside, Patel trained in several martial arts: Judo, Kung Fu San Soo, Brazilian Jiu Jitsu (BJJ), and Muay Thai. After graduating with a degree in Global Studies, competing in BJJ and Judo, earning a brown belt in Judo and a Black Belt in Kung Fu San Soo, Patel began dedicating his focus to Muay Thai and began training with Team Florez. Patel's time away from the gym is usually spent doing a 5k or a sprint triathlon, studying fight videos , or reading about fight history and culture . Patel is proud to be a part of promoting Muay Thai in America. Here's a look at what Patel experiences before, during, and after a fight. And here is Patel's devastating 38 second knockout.